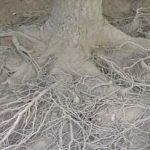 There are many reasons why a standard tree planting can go wrong and unfortunately, there is no way to know about it until several years later, when the trees are frozen in time. Replacing trees can cost a small fortune and it is important to get the planting right the first time with no surprises down the road. Weather conditions need to be considered as well as the type of soil and the location on the property. Will the trees get direct sun and water? Will they run the risk of salt damage near the ocean? Are the trees going to attract deer to the property? Once the proper conditions are met, planting trees can cause damage to surrounding landscape by driving heavy machinery over roots, compacting soil of a healthy tree. 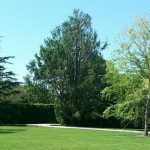 When Sterling Tree and Lawn plants trees, they take all of these factors into consideration and you also will have a Board Certified Master Arborist check the trees from the nursery, giving a guarantee that the tree lands on your property healthy and disease-free. Check out this video to see the extent Sterling Tree and Lawn goes to ensure tree planting is done right the first time.